The N.P.O. 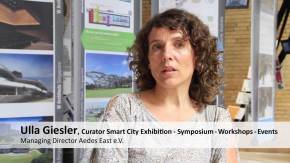 Aedes East, under the direction of the curator Ulla Giesler, will be presenting an exhibition as part of the Asia-Pacific Weeks Berlin 2013, with the title ‘Smart City’. For the first time, the regional focus will be on South-East Asia with particular emphasis on the formative up-and-coming generation. The exhibition concentrates on the search for intelligent solutions within an urban context. The project is exciting and highly relevant not only for architects and urban planners but also for 'city makers' in the widest sense: urbanites, artists, activists, environmentalists, but also institutions, universities, policy makers, investors, engineers and scientists. 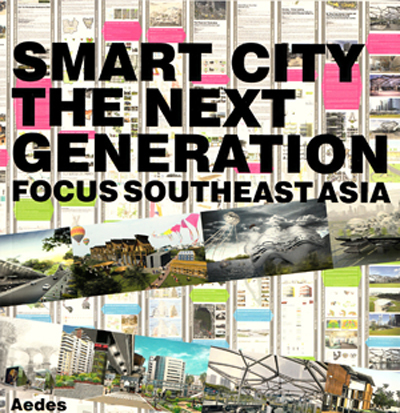 The exhibition will discuss innovative “smart city” projects from South-East Asia: buildings, planning, urban interventions, initiatives and visions for the future from internationally known experts as well as young architects from Thailand, the Philippines, Cambodia, Malaysia, Singapore, Indonesia and Vietnam, who are making the cities more intelligent, effective and above all improving the quality of life for their citizens. Beyond that, the results of the student workshops, which Aedes initiated in Phnom Penh, Jakarta and Manila to generate the future city visions of the upcoming generation, will be shown. Particularly on a technological level, the fact that some emerging nations and developing countries are skipping certain development stages undergone by the classic industrialized nations, is reflected in form and utilization. However, the idea of an adaptable, integrated and networked ‘smart city’ holds opportunities and challenges for Europe too: old infrastructures, pre-existing networks and behavioral patterns, local services and governmental systems also need to be synchronized in order to retain future viability for them. The chosen urban Asian projects are characterized by their creativity, through sustainable use of resources, but above all they are distinguished by smart people. The selected projects bear witness to the enormous potential of the region, in developing solutions for the present as well as for the future. Ideas that have relevance far beyond only South-East Asia and represent changed smart behavior in a globalized age. “Smart Cities” are well-functioning organisms that will remain vital and alive for future generations. Resilience and adaptability are required to face the challenges of climate change and population growth, as well as for the “smaller” local challenges from energy transformation (“Engergiewende”) to self-sufficiency through urban gardening. This applies to urban infrastructures as well as to future inhabitants of urban areas. The term “smart city” was developed out of the urban planning concepts of the 90s, which examined planning strategies in combination with smart growth. Today the term is associated largely with IT-technologies and with international corporations that use the attribute “smart” as a marketing tool for their products. Over the last 20 years various city rankings have appeared under buzzwords like “smart city”, “green” or “sustainable city”, which place cities on an internationally comparative scale to each other and in this context create categories like: mobility, environment, economy, governance, living and people. However, what makes each individual city smart for its inhabitants, i.e. how attractive it is, how user-friendly, how intelligent and clever it is, is not merely a financial issue nor can it be easily answered in a global context. Terms like “networked” or “smart grids” stand in this Aedes project for integration, inclusion, connection, exchange between and from people, ideas, desires and needs as well as for cooperation between different fields and between responsible agents. The project “Smart City: The Next Generation” intentionally plays on the ambiguity of the term “next generation”. On the one hand it is the further development of the (IT-influenced) cities, on the other, it is the people who live in these cities and define them. With the focus “South-East Asia” the emphasis is placed on a world region that is the fastest growing in terms of population growth. Aim is to find out how the younger urbanites in Indonesia, Singapore, Cambodia, Thailand, Vietnam, the Philippines and Malaysia assess their own urban circumstances; how they wish them to be, or wish them to change, thus also affecting our living. The term “behavior” and the option of “behavioral change” create the core focus. How do new projects – from architecture, city planning down to urban interventions – affect the behavior of their inhabitants and users and how do they affect the urban fabric and its functionality? Palafox Associates, Makati City, Metro Manila, Philippines / Felino A. Palafox, Jr.
D7 & D6 Building Rethinking "Urbanism and the Office Prototype"